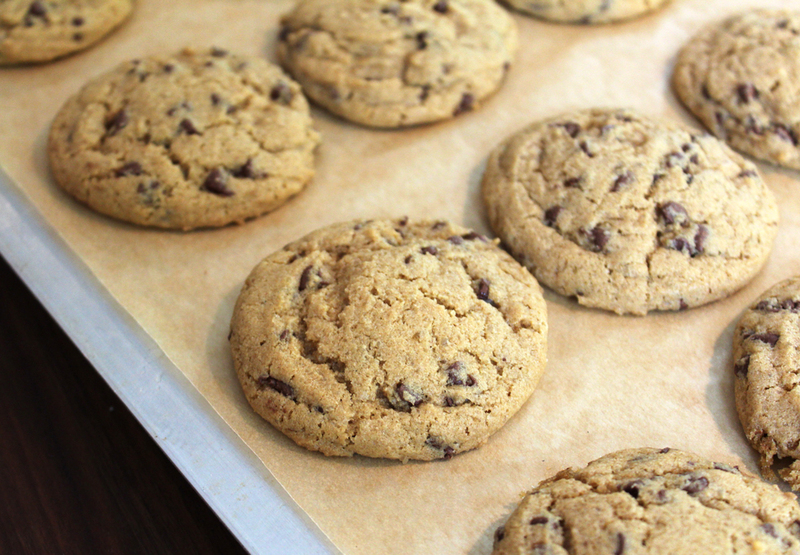 Today is National Chocolate Chip Cookie Day! Wooohooo! That is reason enough to bake a nice big batch of the good stuff. While I assume that any of you big chocolate chip cookie lovers probably have this classic cookie recipe memorized, here is my go-to recipe to bake up my favorite batch of cookies! 2. In a mixing bowl, whisk together the flour, baking soda, and salt. 3. In a Kitchen Aid stand mixer, beat together the butter, and both sugars until well combined. Now, add the vanilla extract and the egg, and continue to beat. 4. Slowly add the dry ingredients to the wet ingredients and mix until just combined. Now, add the chocolate chips and beat for just a few seconds! 5. 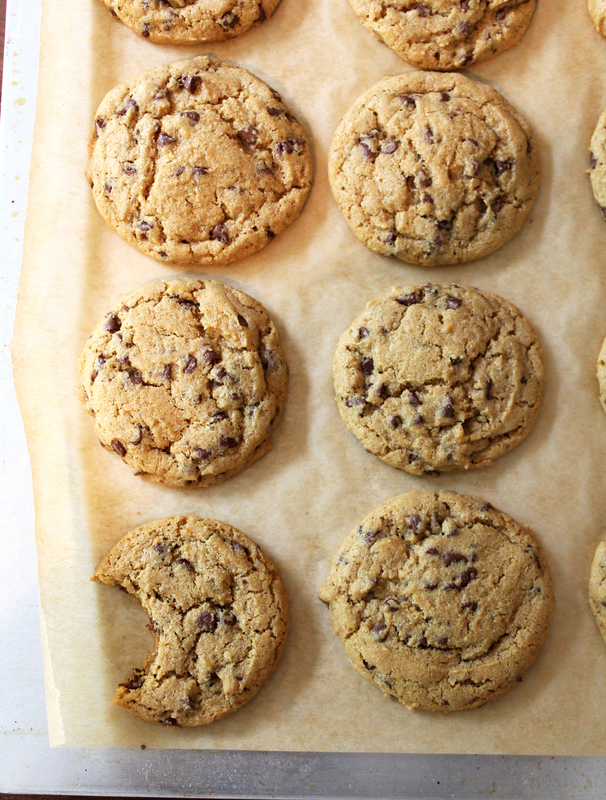 Place spoonfuls of cookie dough on a lined baking sheet and place in the oven for 10-13 minutes.